My own interest in Milne's writing was triggered by the discovery, forty years ago, of a job lot of his books of essays and Punch sketches which led to a dissertation for art school and, ultimately, a play, of which I have written earlier here. The research involved in the former endeavour was enough to make me keenly appreciative of Mrs Thwaite's achievement: quite apart from the many letters she was able to uncover, fleshing out the close relationship between Milne and his brother Ken captured in Milne's own memoir It's Too Late Now, she has read extensively around her subject, making a host of unexpected connections which further illuminate aspects of Milne. It's difficult to imagine such a work being improved upon - not simply because of the thoroughness of her approach but the - well, I want to call it steady affection but that doesn't sound quite right: what I mean is she is sympathetic to her subject but appropriately distanced as well. The fact that Christopher Milne gave it his approval says all you need to know. That said, I did feel one mild pang disappointment upon first reading it: Milne's plays were not covered comprehensively. Now, however, I think she was right. While the reader can still take pleasure in them but it's difficult to imagine their holding the stage now. In the past few years I have persuaded directors to read the odd Milne play but while there has been interest expressed ultimately there has always been something which held them back. 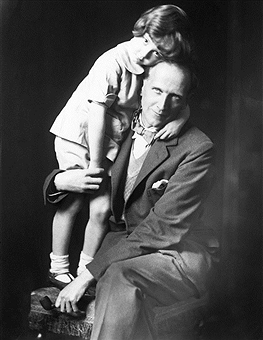 ... both plays have the weakness which it seems to me is apparent in Milne’s work whenever he is most serious; that is, they suffer from a kind of punitive zeal against wrongdoing. Milne has such a contempt for backsliders and materialists and sycophants that he cannot withhold a moral foreclosure which affects the structure of his play. Barrie, after seeing The Truth about Blayds (the first play by Milne, I believe, of which he had not read the typescript), is said to have remarked, with a wise theatre man’s laconism, ‘I should have kept the old man alive’; and this comment, by whomsoever it was made, is really, as one thinks of it, devastating. It is much more than a technical criticism. It goes to the root of the whole question. For Blayds, which might have been a great comedy about an impostor, shifts its centre to the impostor’s dependants, ignominious indeed, but of no significance. To castigate the meanness and hypocrisy of those who, after an earthquake. are trying to pretend that there has been a shower, is to bully the demoralized. You can read the first version of the complete book, if so minded, on archive.org here. The relevant chapter is entitled Fancy Fair. One of the unexpected treasures of this book is Ann Thwaite's moving account of Milne's relationship with his brother Kenneth. Milne's letters to Kenneth uncover the well-spring of his creativity with all its childish joys, shadowed by tragedy. They are a real find. I was bewitched by this material when I read the book. Of course, when I was asked to write a film about Milne I left that out. If success simplifies, film simplifies the simplification. Or put another way, biography looks for what makes the individual different; drama looks for what we have in common. This is the first post in what may become a series. 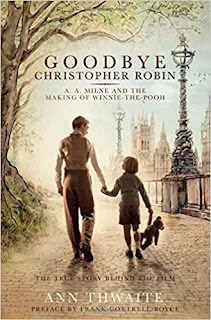 I'll discuss the reissued Milne books, and the film, at a later date.